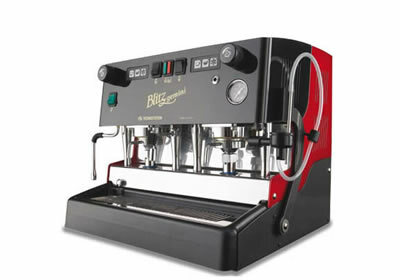 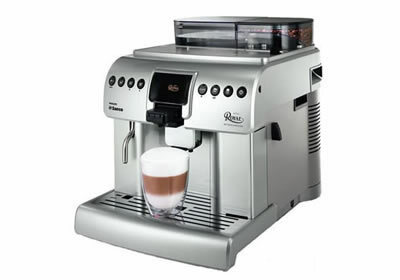 What are the key benefits of espresso coffee machine hire with Aarons? 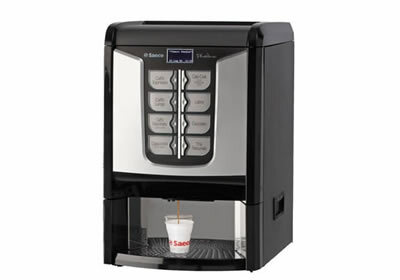 Coffee machine rental from Aarons Coffee will save you time and money and increase office productivity. 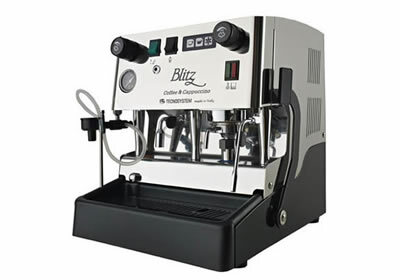 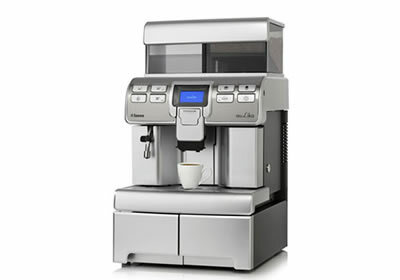 For a fraction of the cost of purchasing from the local cafe, you and your team will savour freshly brewed espresso coffee and other beverages hassle free – bean to cup in less than a minute! 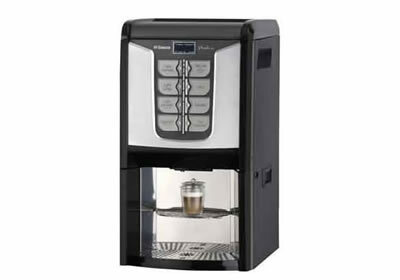 Depending on your coffee usage and the machine supplied, the cost per cup of coffee will range from $0.70c to as little as $0.40c a cup. 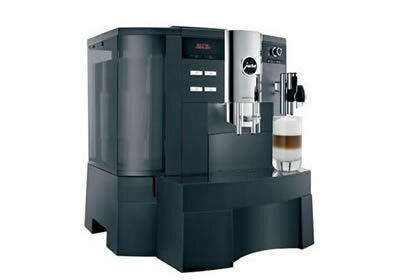 Impressive, fully maintained and cost effective – Aarons Coffee at Work will help motivate your team to perfom! 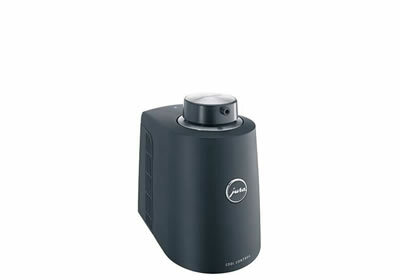 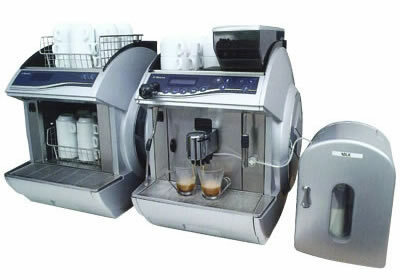 All our coffee machines are impressive, fast and cost-effective. 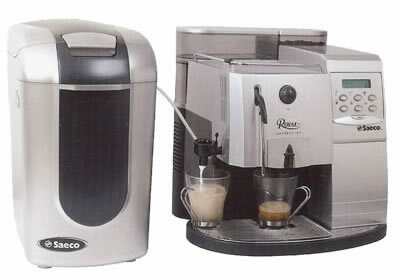 Saeco Phedra office coffee machine: Suitable for 20 + staff delivering espresso coffee and other beverage options including hot chocolate, chai tea and soup. 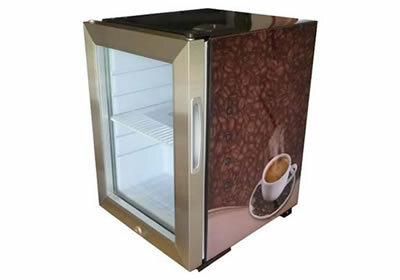 Unique fridge cooled with a compressor unit which guarantees a minimum temperature * Designed with the coffee industry in mind * Fridge enables direct supply of chilled fresh milk to your espresso coffee machine * Stainless steel interior * Pre-drilled for milk delivery hose.